Experienced boxers of Team Kazakhstan will be aiming for titles in the forthcoming ASBC Asian Confederation Boxing Championships in Bangkok, Thailand. Their AIBA and Rio 2016 Olympic medallists as Nazym Kyzaibay, Dina Zholaman, Dariga Shakimova, Lazzat Kungeybayeva, Kairat Yeraliyev, Vasiliy Levit and Kamshybek Kunkabayev are all involved to the travelling team. The competition will be starting after the ASBC General Assembly with its first competition day on April 18. The head coaches of the team Mr. Galymbek Kenzhebayev and Mr. Vadim Prysiazhniuk selected maximum number of 10 women and 10 men boxers to the forthcoming ASBC Asian Confederation Boxing Championships. Kazakhstan claimed gold medals in the recent editions in both women and men side of the ASBC Asian Confederation Boxing Championships. Kazakhstan ranked No.1 in the men’s part of the ASBC Asian Confederation Boxing Championships in Amman, 2013 and in Bangkok, 2015 but their boxers earned only one gold medal in the last Tashkent edition two years ago. Their female athletes also won one title in the recent edition of the ASBC Asian Confederation Women’s Boxing Championships in Ho Chi Minh City. Kazakhstan’s three boxers, who achieved titles in the Astana 2016 AIBA Women’s World Boxing Championships, will be there in Bangkok to won their next gold medals. Nazym Kyzaibay (51kg) is double AIBA Women’s World Champion and she is trying to be on the top at the very first time in the Olympic category. 2016 Astana heroes as Dina Zholaman (54kg) and Lazzat Kungeibayeva (+81kg) are favourites in Bangkok once again. Dariga Shakimova achieved bronze medal at the Rio 2016 Olympic Games and moved back to her welterweight (69kg) in the recent months. Alua Balkybekova (48kg) and Rimma Volosenko (60kg) regained their places in the women’s national team following their successes over the top rivals as Aigerim Kasenayeva and Karina Ibragimova. Asian Games competitor Saniya Sultankyzy (57kg), Milana Safronova (64kg), Akerke Bakhytzhan (75kg) and Fariza Sholtay (81kg) are all experienced boxers in the international stage. Kairat Yeraliyev was AIBA World Champion in Hamburg two years ago but he was unable to repeat that strong performance in the Jakarta 2018 Asian Games. The bantamweight (56kg) boxer is in better shape and hoping to be crowned in Bangkok which would be his first Asian success. His veteran teammate Rio 2016 Olympic Games silver medallist Vasiliy Levit (91kg) will be aiming for his fourth ASBC Asian title in Thailand’s capital. 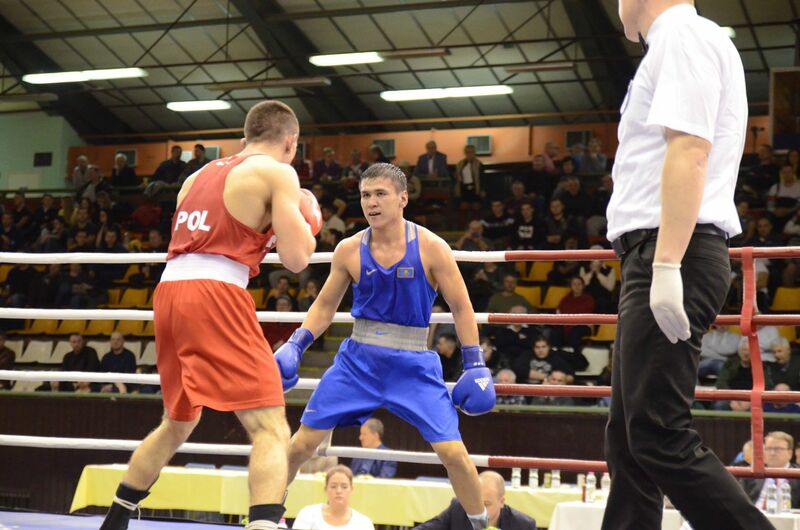 Temirtas Zhussupov (49kg) was ASBC Asian Champion in 2013 and after six years he has got chance to win his second gold medal. AIBA World Boxing Championships silver medallist Kamshybek Kunkabayev (+91kg), Jakarta 2018 Asian Games runner-up Aslanbek Shymbergenov (69kg) and WSB Team Champion Zakir Safiullin (60kg) are also strong favourites in Bangkok. AIBA Youth World Boxing Championships silver medallist Bek Nurmaganbet is only 21 but he is one of the main gold medal contenders at the light heavyweight (81kg). ASBC Asian Youth Champion Sanatali Toltayev (64kg), Bocskai Memorial Tournament winner Tursynbai Kulakhmet (75kg), and Anvar Muzaparov (52kg) are also involved to the travelling team.